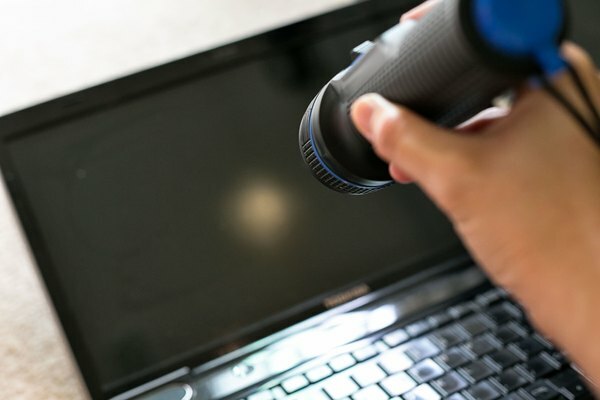 There are several reasons that your Toshiba laptop screen may not come on, even if the laptop appears to be running, and several options you may try to get your screen back up and running without an expensive service call. 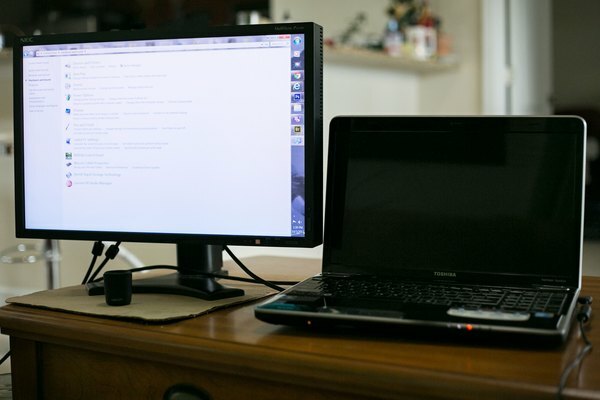 Common causes for a blank screen include a backlight that is turned off, a display toggled to an external monitor and improper shutdown errors. 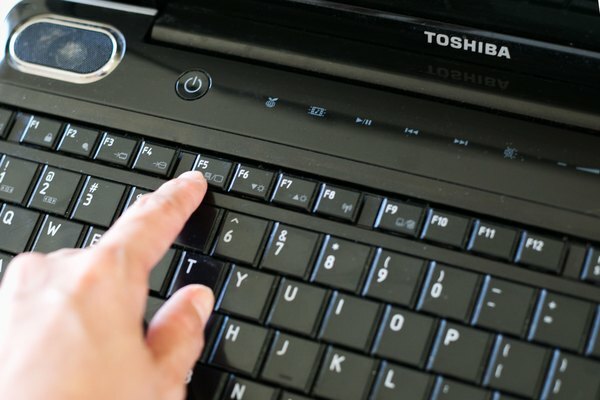 To avoid blank screen errors after your current error is fixed, make sure to follow all instructions in your user's guide to care for your Toshiba computer. Shine a flashlight directly at your screen and look for an image. 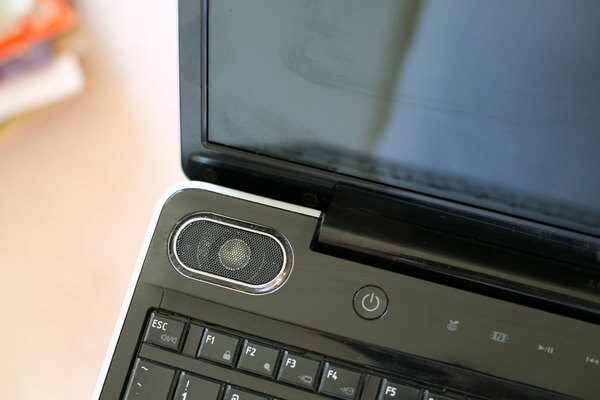 If you see one, this means the backlight on your laptop is off but the screen is still working. This backlight normally turns off only when your screen is closed. 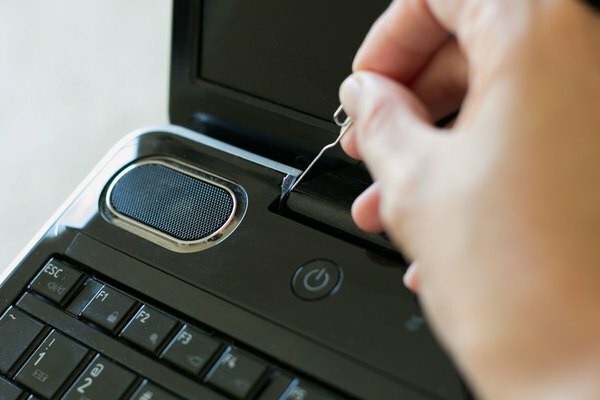 Look for a small metal or plastic pin near one of the screen hinges. The screen pushes this pin in when it is closed, so if the pin is stuck in the screen closed position, the backlight will remain off. Tap the pin several times to release it. You may need to use a small object, such as a pencil tip or straightened paper clip, to reach it on some models. 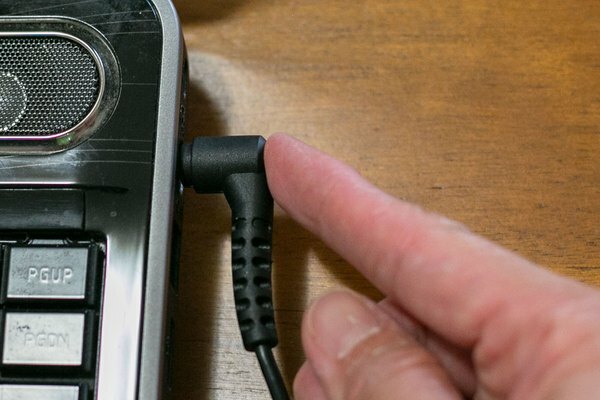 Press and hold down the "Fn" key if you do not see an image when you use the flashlight. Tap the "F5" key several times while the "Fn" key is pressed. This will cycle your screen through the various options that toggle the display to an external monitor. Attach an external monitor, restart the computer and try this method again if no image appears on the laptop screen. 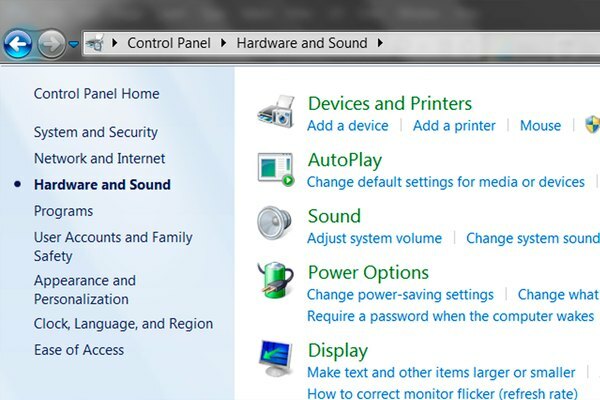 Click "Start," "Control panel," "Hardware and sound," then "Device manager"—using the external monitor—if you get an image there but cannot toggle the image back to your LCD. 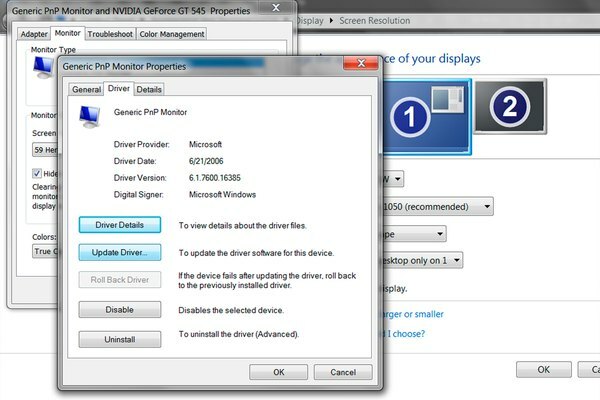 Select the "Monitor" option to expand your selection and select your LCD monitor from the device list. Click the "Driver" tab and select "Update" to update the driver, as this error is likely caused by a software driver error. 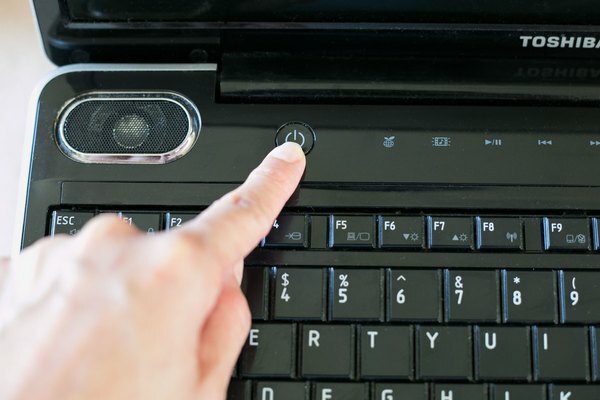 Press and hold the power button until the computer shuts down completely. 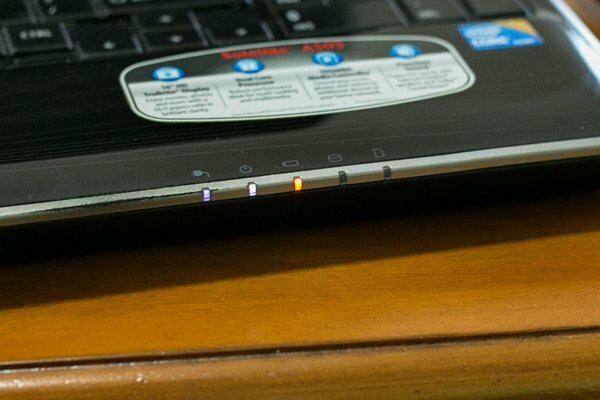 Check the indicator lights at the edge of your laptop to see if the computer is truly off or if it has simply gone into hibernation mode. If it is off, all lights will be off except the battery-related lights if you have a charger plugged in. In hibernation mode, the power light will blink slowly. 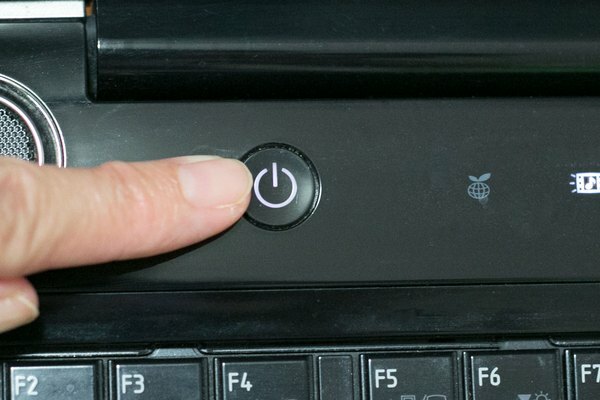 Press the power button to restart the computer again after leaving it off for 15 to 20 seconds. This may fix the problem. If the blank screen returns or you get a flash of images and then a blank screen, move on to the next step. 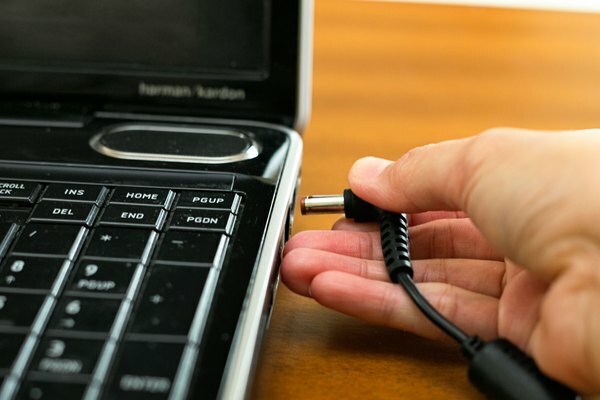 Unplug your laptop from the power source. 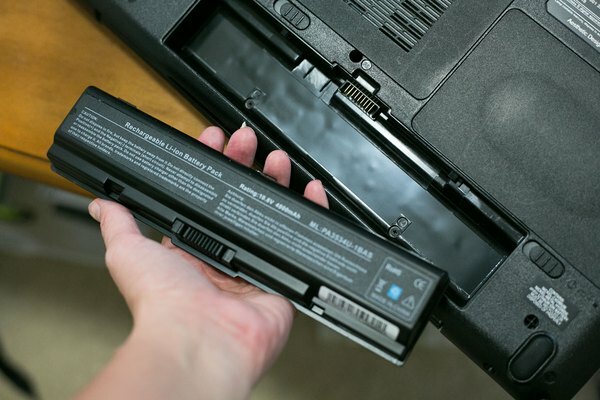 Remove the battery by pressing outward on the battery latch and pulling the battery unit completely out of the computer. 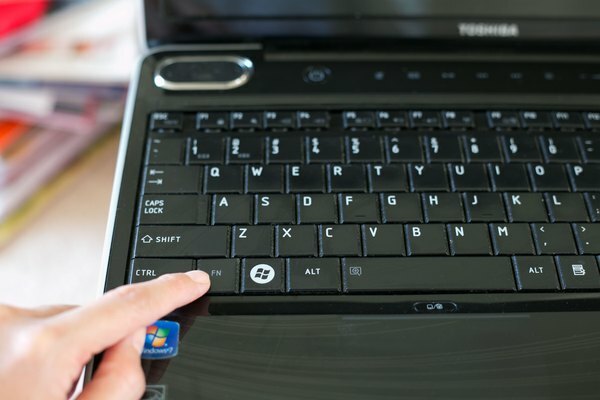 Press the power button several times to completely discharge the computer. Replace the battery and plug the computer back in after about 30 seconds. Press the power button to turn on the computer. If you get an error screen upon startup, choose to restart Windows normally. This error is caused by improper shutdown procedures.